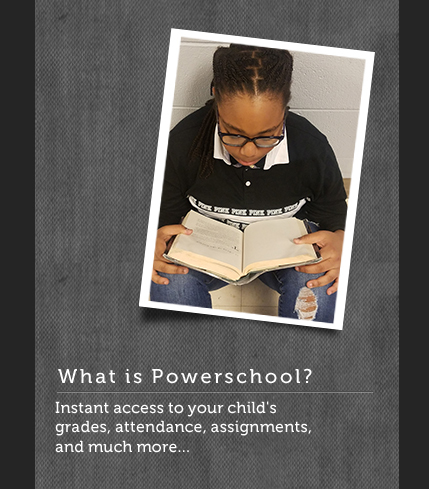 Have you checked out PowerSchool yet? Whether you want to view your student's attendance and grades or email a teacher, our PowerSchool website has all this information at a glance. Getting started is easy. If you do not have a PowerSchool username and password, contact the registrar at your child's school. Once you have this information, simply go to PowerSchool, and enter your username and password. You'll have instant access to your child's grades, attendance, assignments, and much more. If you have questions or need to request a username and password, our school registrars are happy to help you.